Seven Acer products have received the Red Dot Award: Product Design 2016, including the ultra-slim Aspire S13 notebook, convertible Aspire R15 notebook with 360-degree versatility, flagship TravelMate P6 series commercial notebooks, modular Revo Build mini PC, compact Veriton N series commercial desktops, curved Acer XR342CK gaming monitor, and full-functioned abTouchPhone touchscreen IP desk phone. 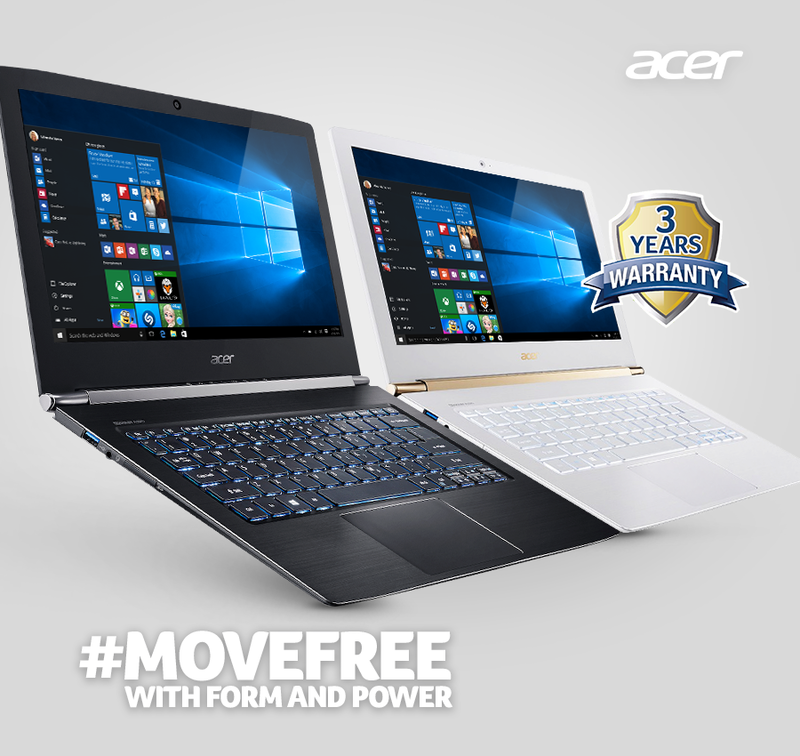 The winning Acer products were selected among 5,200 entries from 57 countries by an independent panel of 41 experts. The products were assessed according to criteria such as degree of innovation, formal quality, functionality and ecological compatibility. The Aspire S13 is a perfectly engineered thin and powerful Windows 10 notebook for design-conscious users. The angular, sleek chassis houses the best-value-priced laptops on the market today, packed with features for work and play. There is a sleek chamfer diamond-cut on the edges and the touchpad, with Acer nano-imprint patterning on the top cover and a blend of premium finishes. The Aspire S13 is powered by 6th Generation Intel Core processors and up to 8 GB of LPDDR3 system memory, not only enabling fast performance and enhanced graphics, but also low power consumption. The Aspire R15 features a metal top cover with a hairline-brushed finish, and the bottom cover is made of 40% glass fiber and silver particles, which improves rigidity while maintaining a thin profile. Diamond-cut edges complement the 360-degrees versatility of the Aspire R15, which can lay perfectly flat at 180-degrees, and with Acer’s patented soft-closing hinge design, converting between laptop, tablet, display and tent modes has never been so elegant. Winning the Red Dot Award for the third year in a row, the TravelMate P6 series are Acer’s flagship commercial notebooks designed for professional road warriors. Built to withstand the rigors of travel, the updated series features an ultra-slim and robust design with carbon and glass fiber-protected lids, spill-resistant keyboards and commercial grade reliability. Available with 14- and 15-inch screen options, the TravelMate P6 series feature 6th Generation Intel Core processors for speed and performance, the latest 802.11ad gigabit Wi-Fi technology from Qualcomm Atheros, and wired and wireless docking options for ultimate productivity. The Revo Build is a mini PC that is easily customized with blocks that provide different functions such as extra storage, speakers and microphones, or even wireless charging. The block connects precisely via magnetic pogo pins that make assembling a computer as easy as playing with toy blocks. The blocks can also work independently or with other PCs. The Revo Build Mini PC is packaged in a tiny one liter chassis with a 125 x 125mm footprint that takes up minimal space and can be placed almost anywhere. The Verizon N Series commercial desktops combine flexibility, security, and manageability in a compact 1-liter form factor. It is expandable with a modular design with graphics card, optical drive, and I/O expansion options available. With a rectangular profile and black finish, the Veriton N series conveys a solid and classic image. The Acer XR342CK gaming monitor features a curved 34-inch 21:9 panel with a 1900R curvature and delivers immersive, picture-perfect visuals. Special features like 6-axis color adjustment and DTS Sound deepen the audio/visual impact, while a customizable ambient light at the lower edge of the monitor provides lighting effects that match the desired mood. The base can swivel from -30 to +30 degrees, allowing users to easily adjust the monitor to their desired viewing angle. The abTouchPhone is a full-functioned, multimedia IP desk phone, supporting Acer’s abPBX communications system. It features a minimalist sleek metal design with an anti-fingerprint glass touchscreen, and supports both voice and video calls. 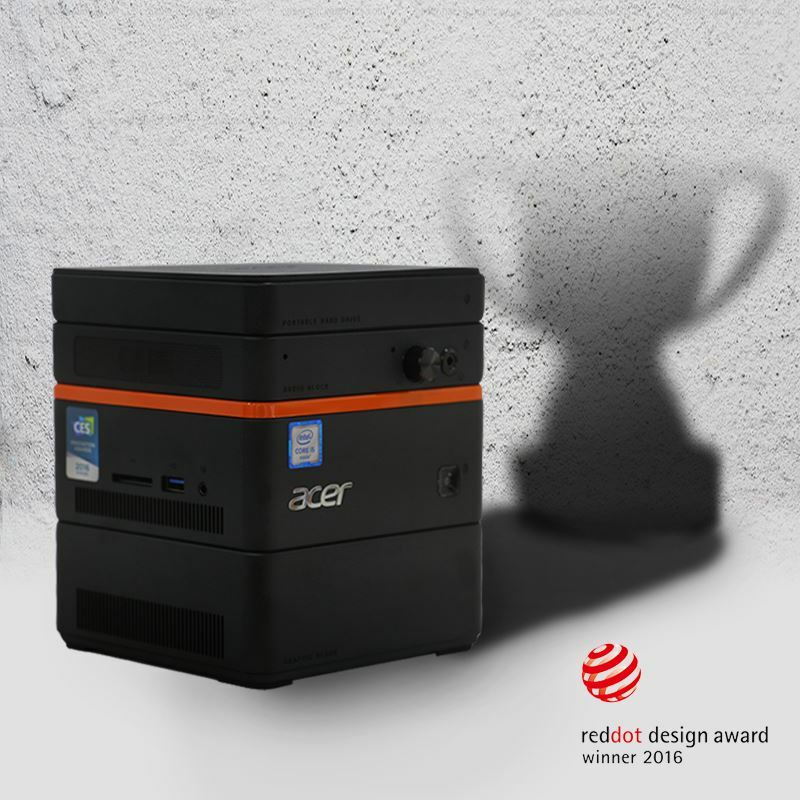 The Red Dot Award is organized by the Design Zentrum Nordrhein Westfalen in Essen, Germany. With more than 17,000 entries in 2015 alone, it is one of the largest competitions in the world. It was in 1955 that a jury convened for the first time to assess the best designs of the day. The name and brand of the award were developed in the 1990s by Red Dot CEO, Professor Dr. Peter Zec. Since then, the sought-after “Red Dot” is the revered international seal of outstanding design quality. For further information, please visit www.red-dot.org.